This year, Liverpool dance group Growing Older (Dis)gracefully are celebrating 21 years of dancing together. 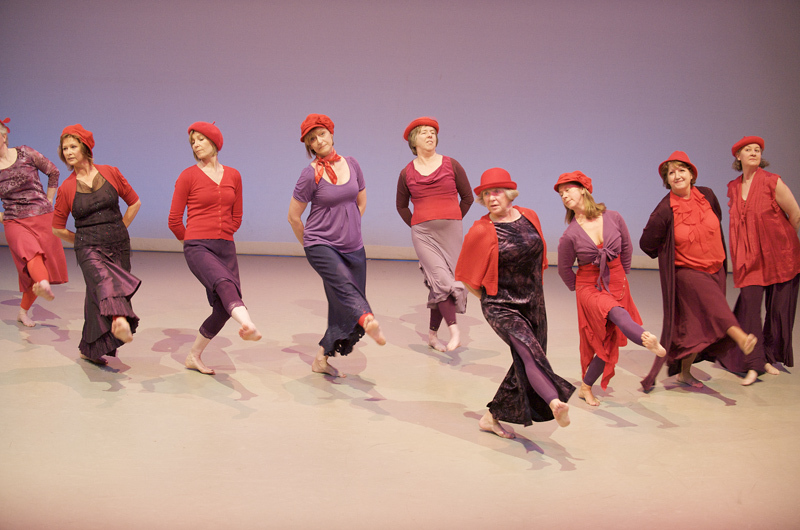 The group have made quite an impact during this time; performing at London’s Sadler’s Wells Theatre in 2014 as part of their celebrated Elixir Festival for older artists. To mark their 21st anniversary, the group are performing at Unity Theatre on 12 June, with a trip down memory lane, capturing the joy we have when we dance together. “Everybody’s got the right to be happy.” But what if that means assassinating the President of the USA? Assassins delves into the lives of nine people throughout history who have attempted to assassinate the most powerful man on Earth, some with greater degrees of success than others. The complex score from Stephen Sondheim (Sweeney Todd, Into the Woods, Company) takes the audience on a dark journey of discovery as we explore the motivations and driving forces at play. The individuals from different historical periods to meet and interact, examining why they were prepared to go so far in the name of the American Dream. Prices: £15.50 (£12.50 concessions). A perfect treat for the grandchildren this Christmas. Join us for one of the most wonderful stories ever told! Action Transport Theatre again joins forces with Unity Theatre for this highly theatrical and bold retelling of this classic family tale. Produced in partnership with innovative disability arts organisation DaDaFest, Beauty and the Beast shows that beauty really is in the eye of the beholder and that everyone’s attitude can, at times, be beastly! Perfect for children aged 5+ and their families.